For the past few years, I’ve laid out a minute-by-minute guide to the Newport Folk Festival. This year, I tried to continue the tradition (and Stef pulled one together for this year) but it just became so ridiculous and exhausting that if you actually performed what I was mapping out, you’d hate me, yourself, the festival and the people getting in your way running between sets. Instead, I thought I’d just call out the top five hardest hours of decision in Newport so you can give these brief, agonizing moments an early thought. 2:35 PM – 3:15 PM on Friday – Why ease into it? The first hour on Friday holds Seattle’s Hey Marseilles, a band that us East Coasters don’t see enough, The Milk Carton Kids whose new album, Ash & Clay, is so enchanting you have to actively fight drooling, and Kingsley Flood a band that has been on the rise and we’re pretty curious about. 3:35 PM – 4:40 PM on Friday – It doesn’t stop! Immediately after the sweat drill above, you’ll need to choose between The Last Bison, the Virginia-based string band whose last album is intense enough to work out to (imagine the dancing), Blake Mills, who the snobbiest folkers adore, and JD McPherson who will take you back in time with his timeless voice. Meanwhile, Newport Homegrown is going on with The Low Anthem. 12:15 PM – 1:35 PM on Saturday – As I’ve said before, there are very few white people that bring as much passion to the stage as Langhorne Slim. That guy and write a feckin song and I think he’s underrated. That said, Nashville’s Rayland Baxter is a guy that caught our eye last year with the release of Feathers & Fishhooks and is at the top of our list of folks to see. On top of that, our good friends Hurray for the Riff Raff and The Lone Bellow overlap with this block. And just to add a bit more zing – Joe Fletcher’s Nashville to Newport is going on. Find your way out of that pickle. 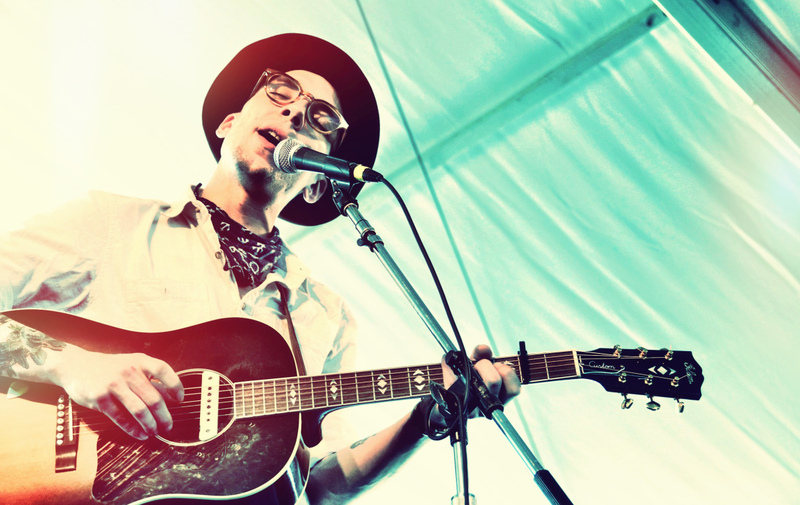 5:20 PM Onward on Saturday – Justin Townes Earle vs. Colin Meloy vs. The Avett Brothers. Doesn’t really need an explanation. The tip here is go late to the Avetts because the sittin’ in sessions that typically occur on the Fort Stage will happen towards the end. 12:30 to 2:30 on Sunday – From the time that Tift Merritt takes the stage until Ramblin’ Jack Elliott leaves the stage, there’s a whirlwind of movement that will need to take place to catch the unmissable acts known as Spirit Family Reunion, Black Prairie and Lord Huron. All the best with that.